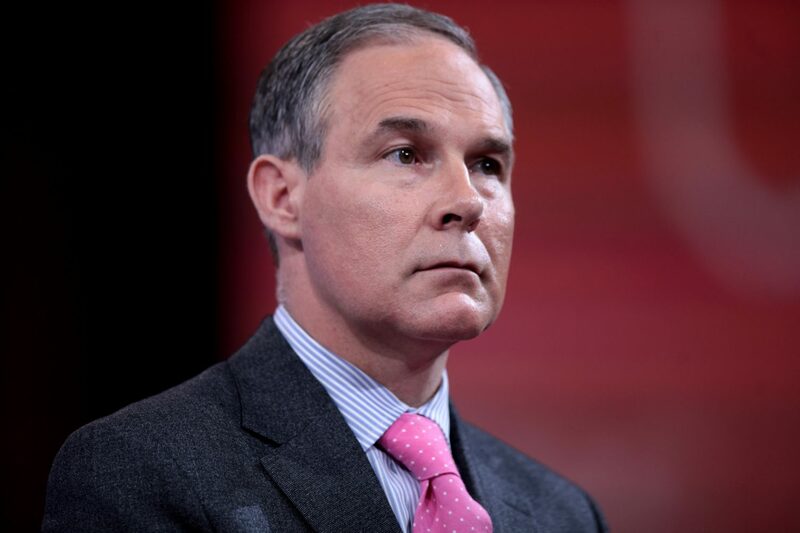 Scott Pruitt, EPA administrator under the first two years of the Trump administration, has had significant influence on energy and environmental policy in the United States. While many people applaud his legacy of roll-backs believing that these rules hinder free-market development, there are many consequences for the renewable energy industry, human health, and environmental systems. The EPA goals have changed in many ways under Pruitt’s reign and it’s important to understand the variations. With Pruitt actively advocating against climate change measures, the EPA climate change website has been scrapped. Instead of normally providing data and information regarding the mechanisms of climate change, the page is being “updated” to represent the new EPA priorities and has been doing so for at least a year and a half. This seems rather questionable, as climate change is regarded as a very prominent issue by almost every other nation. It is no shock then that Pruitt also played a role in Trump’s decision to leave the Paris Climate Accord (Greshko et al, 2018). While many people doubted that the goals set forth by the PCA were attainable in the near future, the accord at least signified a global agreement to recognize climate change as major world issue. The United States withdrawing from this sends a message to the world that we may not be taking climate change seriously. Many other EPA policies have been delayed or scrapped under the Pruitt administration- the Clean Power Plan is one such example. The plan restricted carbon dioxide emissions from new and existing power plants to encourage states to convert to clean energy sources. Pruitt announced plans to repeal this legislation in late 2017 and the process of rescinding it is in action (Greshko et al, 2018). There are talks of a replacement plan but nothing is set. Pruitt has also criticized fuel emission standards set by the Obama administration, claiming them to be too high and unrealistic. While automakers have pushed for new emission standards, they have not yet been changed (Mendolia et al 2018). However, states have the ability to waive for higher regulations and the automobile industry still has to cater to the global market, accounting for European countries with higher emission standards. Pruitt’s standards may not make a large impact on the energy efficiency of vehicles but will likely prevent America from being a global leader in this issue. Pruitt has declared a two year suspension on the Clean Water Rule, a 2015 policy that protects drinking water by limiting runoff from fertilizers and pesticides (Davenport, 2018). He also denied the banning of pesticide chlorpyrifos, despite EPA studies showing that this a toxic chemical with no safe exposure levels (Mendolia et al, 2018). He halted methane regulations and delayed a rule dealing with acceptable ozone standards before a judge ordered otherwise (Greshko et al, 2018). Pruitt has also made some structural changes to the organization such as the barring of many scientists in academia from participating on advisory boards for the EPA. Industrial scientists, who are regulated by the EPA, are still allowed on the board and have actually increased their presence due to the restriction on university members. Many of these industrial board members include pesticide manufacturers and coal producers (Economist, 2018). He has also included other measures, including policy that only allows the agency to use studies with public data. While this may seem like a great idea having transparency in science, many pollution and climate change studies use confidential health data to decide how products, such as coal or fertilizers, are linked to respiratory diseases and cancer (Economist, 2018). Overall, the EPA under the Pruitt administration has taken steps backward in terms of clean energy, public health, and trust in science. Andrew Wheeler has since taken over the EPA after Pruitt’s resignation and no one is fully sure where he will lead the agency. 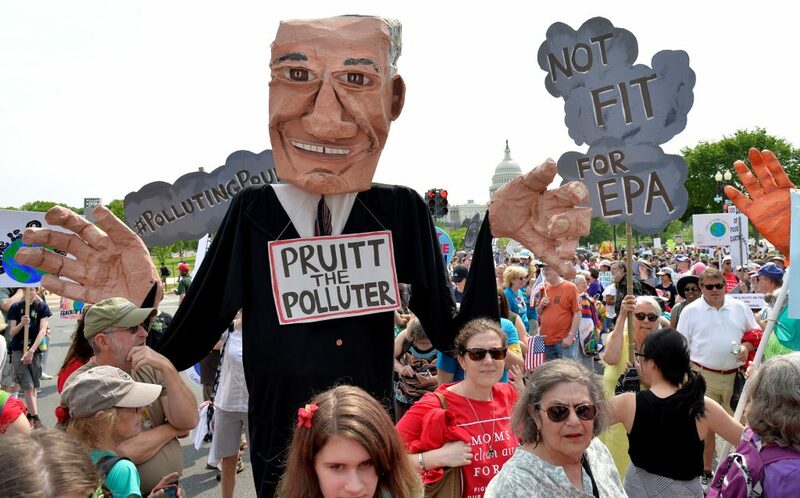 He may very well continue in Pruitt’s footsteps since he also has questioned the reliability of climate science and has past experience lobbying for coal companies (Dlouhy, 2018).